It's October. Now that your property and landscaping has gone through another growing season, Fall is the perfect time of year to take a step back, admire the view (congratulate yourself), take some pictures, and decide where you'd like to shine a little more light on your life during the winter. It's coming, you know! Here are some solar lighting ideas that improve the look of your property, improve safety and security, while reducing your dependence on electricity. Go free-light! Wall Mounted Solar Light - Horizon. 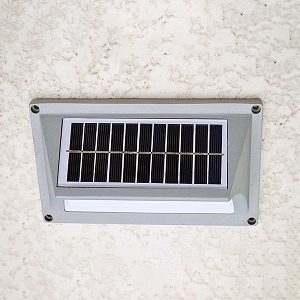 Wall mount solar lights by free-light are a simple, and cost effective solution to lighting walls that face E/S/W. The lights turn on automatically at dark and off again 10-12 hours later. 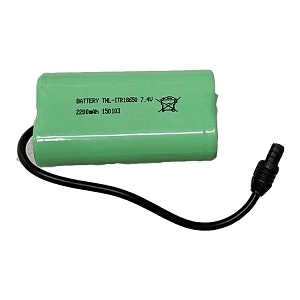 free-light uses premium quality parts in its solar light products to ensure long service life. The ease of installation and reliable operation of free-light solar lighting products makes for an easy buying decision. Be inspired by all of our Wall Mounted Solar Lights and brighten up your property today. Security Solar Light - Sentinel. It's a sentinel's job to stand guard and keep watch - and that's exactly what this bright solar security light does. Perfect for doorways, garages, cabins and entrances of all kinds, Sentinel can work reliably on as little as 20 minutes of sunshine per day. Now we're talking! 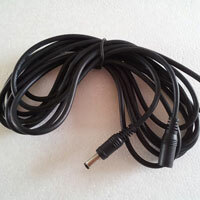 No more stumbling around in the dark. Sentinel is standing by to shine the light on the night. The solar panel mounts up to 14' away from the light so you can put the solar panel in the sunshine and the solar light where you need the light. How smart is that? Browse all the Security Motion Solar Lights and buy yours today. Pathway Solar Light - Millenia. 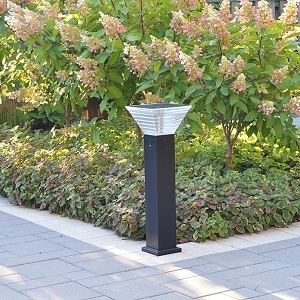 Standing tall at 31.5" (or .8M if you prefer metric), Millenia is a stylish shaped solar light that is appropriate for every outdoor solar light application you can think of. Millenia lights up to 30' and turns on automatically after dark and turns off 5 hours later. Hey - no more timers to change, or electricity bills to pay for outdoor lighting. Hurrah! Millenia goes from box to working in minutes. There is NO assembly required. When was the last time you heard that? 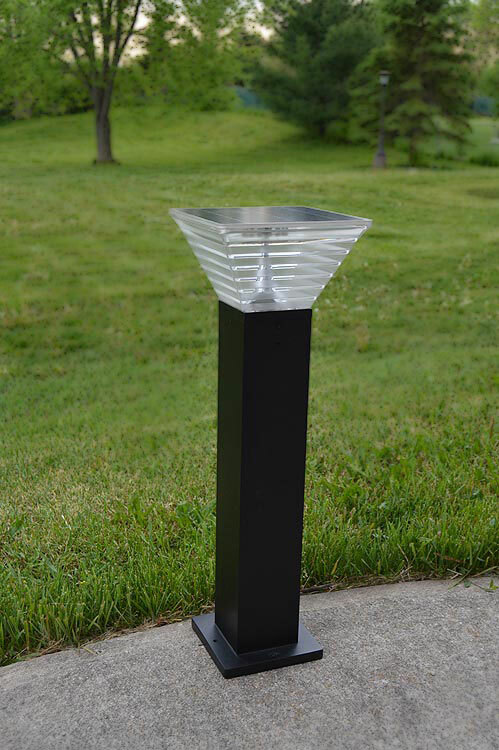 Solid aluminum construction combined with free-light solar technology makes this the perfect light for pathways, walkways, entrances, pools, decks, docks, patios, gazebos. Make a cup of tea and wander through the all the beautiful and reliable Garden Pathway Lights by free-light. You won't be disappointed. Solar Table Light - Paris. Add colourful highlights to your nighttime patio table.The beautiful gold and silver hatch style is gorgeous by day and stunning by night. 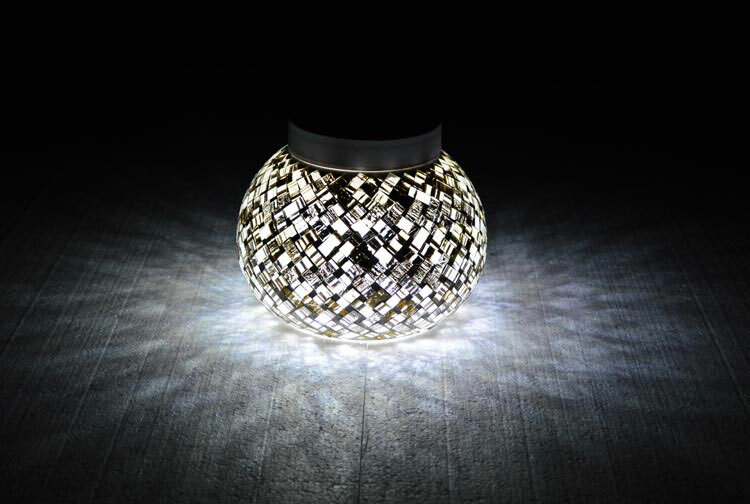 Each free-light Table Solar Light is individually hand-crafted by glass artisans. Travel the world with free-light. See all the magnificent Solar Table Lights in our catalogue and be sure to click on each picture to see how they look in the day light and the dark. Each one is a work of art!